Let all visitors to your home know to be on the lookout for your pet! 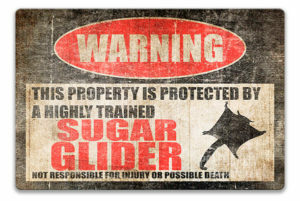 This humorous sign says: “Warning, this property is protected by a highly trained sugar glider. No responsible for injury or possible death.” The sign is printed on aluminum with a UV protective coating perfect for hanging inside or outdoors. Available in a clean or distressed style in two different size options. 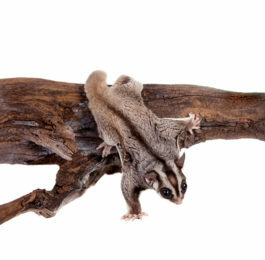 Cute and practical, one of the best sugar glider gifts. Popsocket grips are the handy way to easily hold your smartphone, while also providing a convenient stand for watching videos. This one features the cheery illustration of a sugar glider in flight. Any owner will love this gift which makes a perfect stocking stuffer. 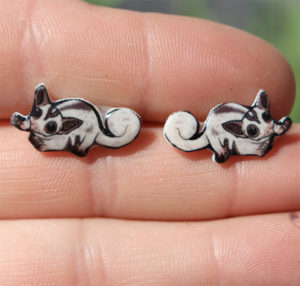 This is an adorable gift for any lady who loves sugar gliders. Handmade by Salt of the Art, these earrings are based on hand-drawn illustrations that are cute and realistic. 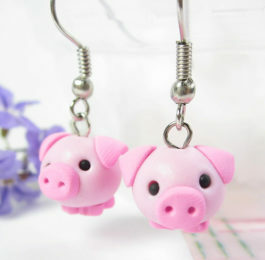 They feature hypoallergenic, stainless steel posts perfect for sensitive ears. Available in men, women, and youth sizes, in slate, blue, silver, and gray. Let your giftee dress up as their favorite animal for Halloween or enjoy some cozy pajamas with this onesie. 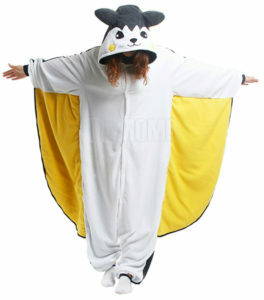 Styled to look like a sugar glider, it features a hood with adorable ears and cute face and a cape of “wings” for gliding. Made from warm flannel, this makes a fantastic Christmas gift. 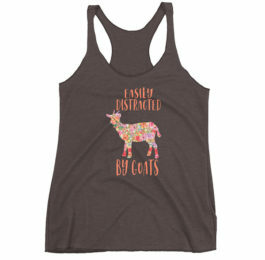 Now your giftees love of sugar gliders can be a part of their favorite hobby. This coloring book features 30 relaxing sugar glider images they can color. Perfect for winding down after a stressful day or expressing their creativity. Include some colored pencils or markers to complete your gift. 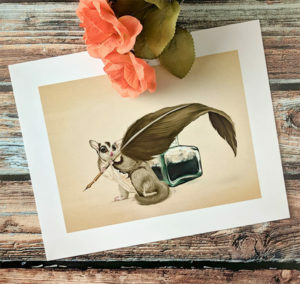 This adorable gift is perfect for writers who love sugar gliders. Studio Catawampus makes this wonderful print based on their painting “Sugar Writer.” Available in three different sizes, this print is perfect to frame and give to any sugar glider owner. This is great if you want sugar glider gifts for people who can’t own the pet. This 12″ plush sugar glider looks like like the real thing, with soft fur and an extra long tail. Perfect for kids and adults alike. Recommended for ages 2 years and up. Delight the sugar glider lover in your life with this beautiful gift. 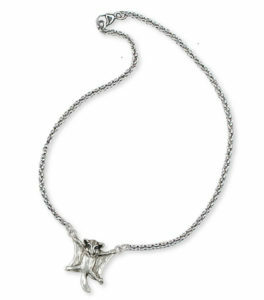 This silver necklace features a handmade sterling silver charm of a sugar glider in flight. Beautifully detailed, this charm is realistic and playful. This necklace makes a romantic gift, perfect for Valentine’s Day or an anniversary. This piece of jewelry is like art. 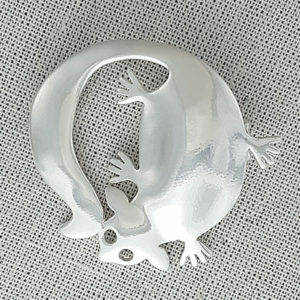 Made by Vince Story Jewellery, this sugar glider brooch is made from sterling silver in a minimalist style. It’s a classic piece that goes well with formal or casual outfits. Perfect for fastening a scarf or pinning to a jacket. Looking for affordable sugar glider gifts, this sticker is perfect! Made from durable vinyl, this sticker features a cute sugar glider illustration with the text: “I <3 my Sugar Glider." Easy to apply to a car or laptop. This is a cute and unique gift for sugar glider owners. 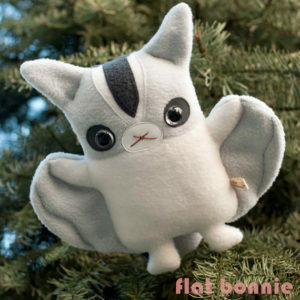 Flat Bonnie hand makes animal plushies, including this adorable sugar glider. Called Flat Suggie, this little glider is made from soft fleece with safety eyes perfect for most kids. This is a practical gift for new sugar glider owners. This scarf has a built-in pouch, perfect for carrying a pet sugar glider. This helps the owner bond with their new pet, allowing them to carry and snuggle with their glider. Need more gift ideas? Check out our other articles on gifts for animal lovers and exotic pet owners. Added a new pet to your family? Check out these sugar glider names.